For as long as I can remember, each year something that my Mom always prepares is stovetop potpourri. It truly makes your home smell like Christmas time and is such a delight, especially to visiting guests. 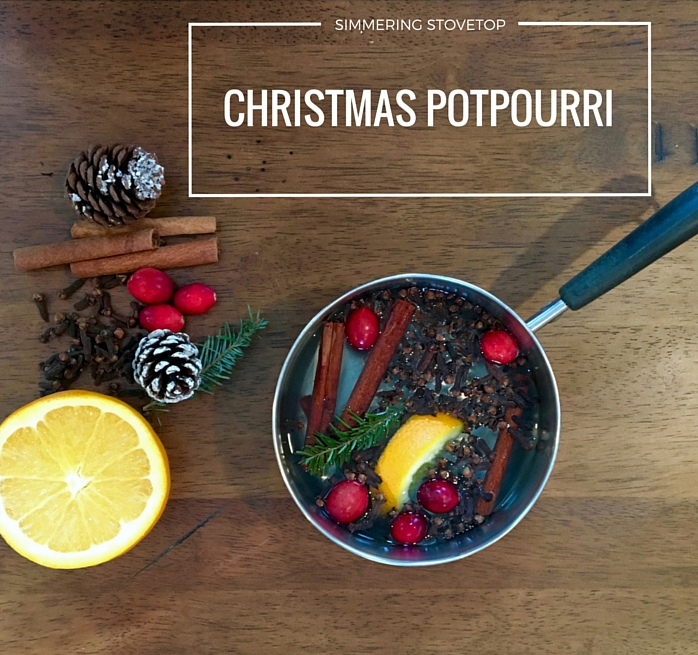 It has become a family tradition and is always the "start" of Christmas time when the potpourri is on the stove! Trust me, this is much better than any Christmas candle out there and is guaranteed to spread a bit of Christmas cheer all throughout your home. Put everything into a medium size pot and place on the stove on low/simmer. It should take around 15/20 minutes for everything to begin to simmer. Be mindful of the water level and make sure to replace the water as it boils out. I love this! Thanks for sharing. I've always wanted to do this, so maybe now I'll give it a try thanks to your inspiration. I bet this smells amaaaaazing!